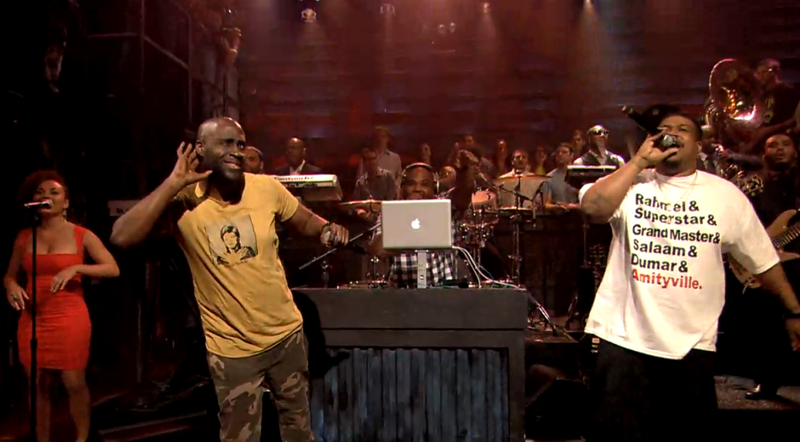 The De La Soul reunion tour hit Late Night With Jimmy Fallon on Friday night. Though the group dropped a brand new song just last month, they opted to perform two classics with help from The Roots: “Jenifa Taught Me” and A Roller Skating Jam Named ‘Saturdays'”. Watch the replay below.